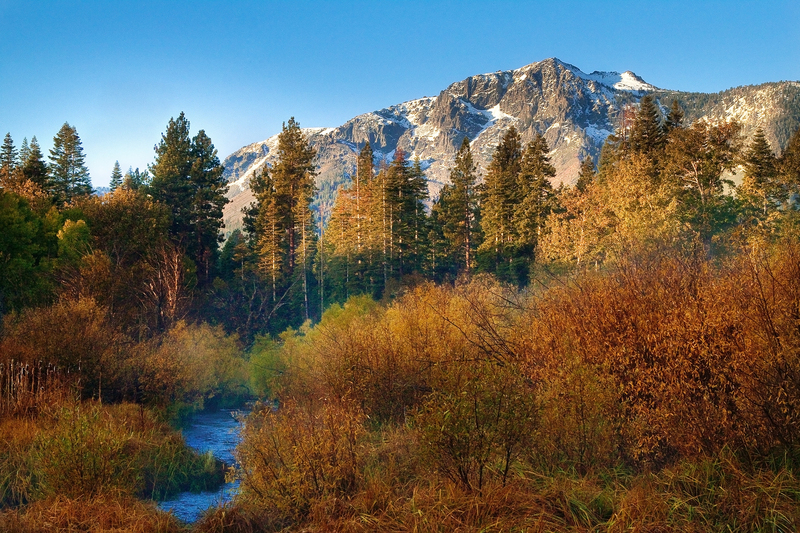 Fall colors, food festivals, and wildlife are all on display in South Lake Tahoe in October. Families can see Tahoe’s “circle of life” up close during the Fall Fish Fest. Lake Tahoe’s landlocked Kokanee salmon pass through the Taylor Creek Visitor Center on their way to spawn in the top parts of Taylor Creek. Black bears are usually on hand to give the salmon a helping paw or munch on their journey. Enjoy and participate in this free family event which has become one of the most fascinating educational and wildlife viewing events in Northern California. The festival encourages participation by children and their parents in a wide variety of educational and entertaining activities. Writers, readers and performers from all around the country will appear at South Lake Tahoe Oct. 9-11, 2015 for WordWave, a three-day festival held on the grounds of Valhalla at the Tallac Historic Site.This literary mash-up will feature oral storytelling, theater performances and free readings, panels on craft, yoga, and a novel writing camp for kids. The event kicks off Friday with a champagne reception with Garth Stein, author of the international bestseller, The Art of Racing in the Rain, and his latest—set deep in the woods in a huge wooden mansion—A Sudden Light. Celebrating its 20th year, the Lake Tahoe Marathon is Oct. 9-11 and includes multiple marathons with choices of 5K or 10k, half marathon, 18-milers, 144 milers around the lake or a four-day, 288 mile run. There’s a children’s run, plus swim and kayak competitions. Fall is not only in the air but the trees as well. Fall colors will be celebrated Saturday and Sunday, Oct. 10-11 at the Alpine Aspen Festival. This is a celebration of the beauty and vital role of aspen groves in nearby Alpine County. Come for the fall colors, stay for the adventure. Fall Foodies take note: The South Lake Tahoe Food and Wine Festival at Harrah’s and Harveys Lake Tahoe arrives for an autumn weekend of great food, fine wine and high spirits on Oct. 16-18. This weekend is filled with wine tastings, dinners, concerts, parties and more. October is one of locals’ favorite months. The trails are open, the crowds are less, and it’s easy to find a little piece of Tahoe all to yourself. Lake Tahoe Resort Hotel has you covered with fall and early winter special limited rates for September, October, November, and December. Rates are up to 35 percent off! Use Promo Codes: 15SEPT, 15OCT, 15NOV, or 15DEC; book your fall getaway today as these rates will not last long.